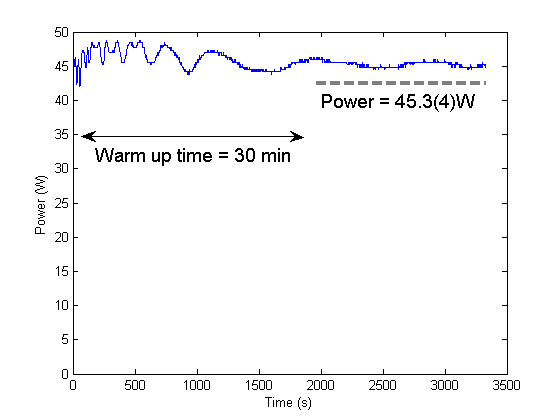 With the most recent Nufern amp (July 2012) the gain was measured with The Rock as an input source (~150mW). Previously the gain was seen to be very sensitive to the temperature of the cooling water (the pump diodes are water cooled and so their wavelength may move around). The above measurements were taken with 21 degree Celsius cooling water. 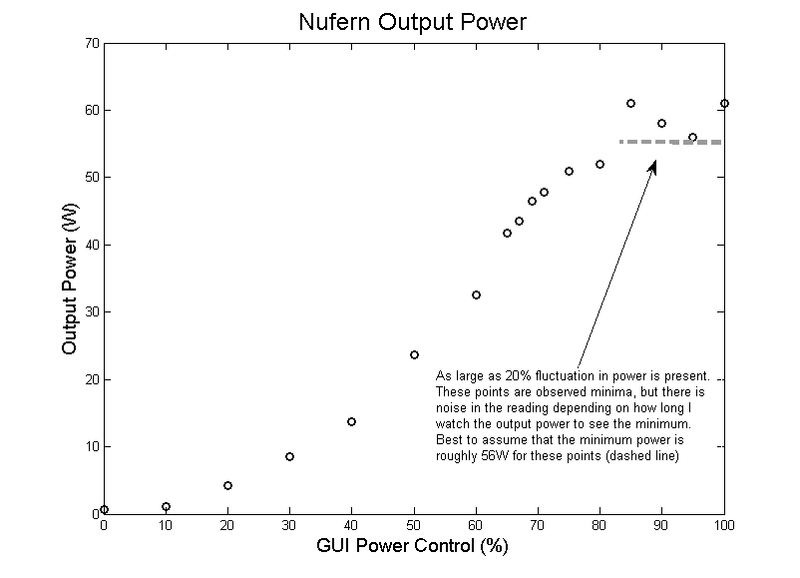 The Nufern is typically run at 70% power which has been observed to increase stability.